Cover discoloured or worn teeth: when teeth become transparent or darker, this may be an early sign of decay or disease. Our dentist may decide after discussing your diagnosisthat you may need other treatment along with a crown. This crown will be fabricated to strengthen your existing tooth, using a ceramic material to resemble the natural shape. To stop a tooth from further cracking or fracturing: cracked and fractured teeth are vulnerable to bacterial infections and tend to be more sensitive to cold and hard foods. Having a crown will restore the tooth’s functions and protect its cusps from splitting apart which may require surgical treatment. To anchor a bridge replacing a missing tooth: when a bridge is required, the two adjacent teeth may have crowns placed over the existing teeth to provide an anchor for the bridge replacing the missing tooth. 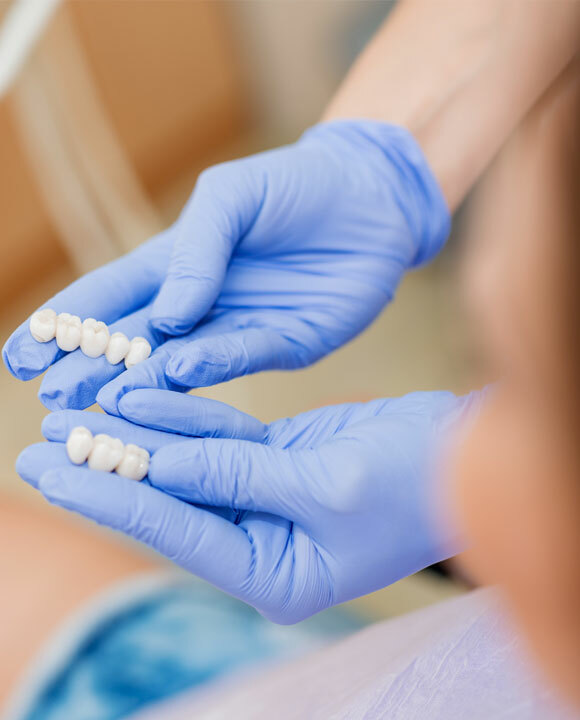 A bridge and crown treatment may be suitable for you if you are unable to have implants. After root canal treatment: root canal treatment involves hollowing out the pulp, increasing the chance of fractures and future bacterial infections. To protect and form a barrier within your tooth’s structure, dentists highly recommend crowning most root canal filled teeth from further infections. Replacement of a large filling: teeth which are heavily filled have a higher risk of fractures or debonding of fillings. Frequent replacements may alter the tooth’s structure, deepening the filling. To avoid these complications, we may recommend you place a crown on top before the tooth structure becomes too short to support a crown, and the only treatment available is extraction and bridges. Before a crown or a bridge can be made, the affected and adjacent teeth are required to be reduced in size to allow the crown or bridge to fit over the teeth properly. To provide the exact shape and size for the crown and bridge, an impression will be taken and sent to a professional dental lab to be manufactured. If porcelain is used, your dentist will determine the best shade for the crown or bridge. This step ensures the porcelain fixture is matched to the colour of your existing teeth to maintain the natural tooth look. Next, the impression is sent to a lab to be custom made in the specific material and shade. The models will serve as a guide to the lab technicians, who will then produce your crown or bridge. Finally, before you leave, a temporary crown will be applied for protection until the permanent crown is ready. During your second visit to our clinic, we will attach the permanent crown to the remainder of the tooth/teeth and apply resin to secure it. Additional appointments may also be required if the crown or bridge does not fit the first fitting. 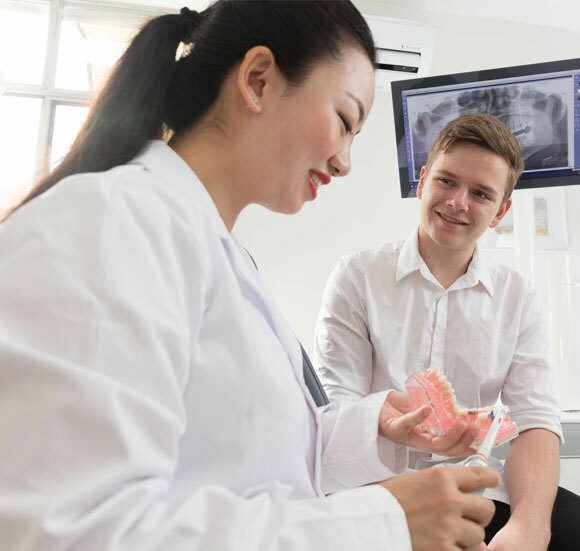 However, it is recommended you continue regular visits to have your crown and bridge checked, teeth cleaned, and gums investigated to detect early stages of post-treatment concerns. Alloys: are used for casting full-contour crowns and bridges and are generally gold in color. Alloys used for crowns and bridges are made with harder alloys for a stronger structure and are resistant to wear, perfect for patients who grind. It is most commonly used on back teeth. Porcelain-Fused-to-Metal (PMF): metal substructure with porcelain bonded to the metal to mimic the natural tooth. A PFM crown is suitable for any location, the crown is of tooth colour. Porcelain and Porcelain: this is a 100% porcelain crown, the option required for patients allergic to metal. They are more fragile and therefore not suitable for patients who sleep grind. Crowns and bridgework require the same conscientious clean and care as your natural teeth. It is vital to maintain a regular and effective oral hygiene regimen consisting of brushing and flossing at least two times a day in between all teeth -restored and natural. Take extra care around and under your crowns to remove plaque and food deposits -this will avoid decay around the tricky areas! A dental bridge prevents chewing difficulties that will occur following the loss of a tooth. A proxy brush is a tiny brush designed to remove plaque in the large gaps between the teeth (perfect for bridges). These brush like flosses have bristles around the wire with a bendable neck for a flexible reach. Bend the proxy brush slightly to form an angular curve on the neck of the wire. Moisten the brush and insert into interdental areas (taking more care around crowns/ bridges). Brush inside, on the edges and under each interdental space, making sure the brush is cleaned after each space -removing debris and plaque deposits ensures you do not spread the bacteria. Clean the brush thorough after each use and allow it to air dry. The brush can be used several times before discarding, however, if filaments become deformed or lose, replace immediately. 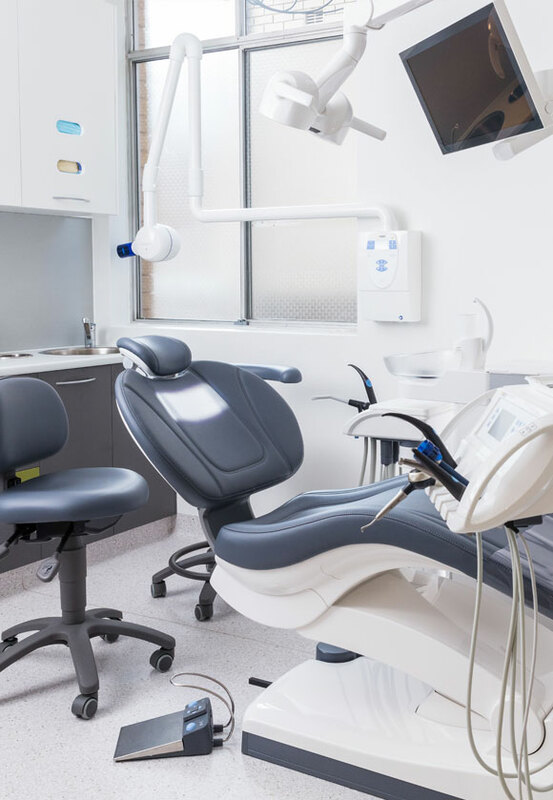 Our friendly dentists will also provide additional advice and guidance specific to your case if additional care and equipment is required.